Erin Reinders in her former Planning Dept. office. Reinders was born and raised in Illinois, growing up in Woodridge, a Chicago suburb. Her undergraduate years were spent at Eastern Illinois University. Reinders then earned her master's in urban affairs and public policy at the University of Delaware. That's where she became interested in pursuing a career in planning and working in local government. "During that graduate school experience was when I came in contact with a state planner, and he kind of turned me on to the whole thing," Reinders said. "And then even when I was in grad school, now that I'm thinking about it, my geology professor who I traveled quite a bit with, she became a professor after many years in planning. So I remember traveling around Ecuador with her talking about city planning." Her first job was as an assistant planner for the city of Franklin, about 15 miles south of Nashville Tennessee. She worked at Franklin City Hall for roughly ten years before coming to Unalaska. She and her husband and young daughter arrived here in summer of 2011. "I have to say, I flew out here with my husband in June of 2011, and from the moment our plane landed, I knew, this was it, this is where I wanted to be," Reinders said. "There was never any doubt in my mind." Reinders says although she's switching departments and focus at City Hall, she's prepared. "I've been working in local government now for 12-plus years, and so, as you kind of get into it, you really work all throughout the different departments of government, and municipalities," Reinders said. "I just love learning and growing and trying new things and everything. And so, in my mind it's a natural progression of things." Reinders says in 2010, she completed a yearlong program to earn credentials as a certified public manager. That program was through the University of Nebraska. "So that really gave me the educational foundation, and really what municipal government all entails. But I think just living it and breathing it for the past 12 years you just pick up on stuff," Reinders said. "So I'm excited to move in that different direction and expand what I actually get to be involved with." Reinders leaves the Planning Department on a high note. 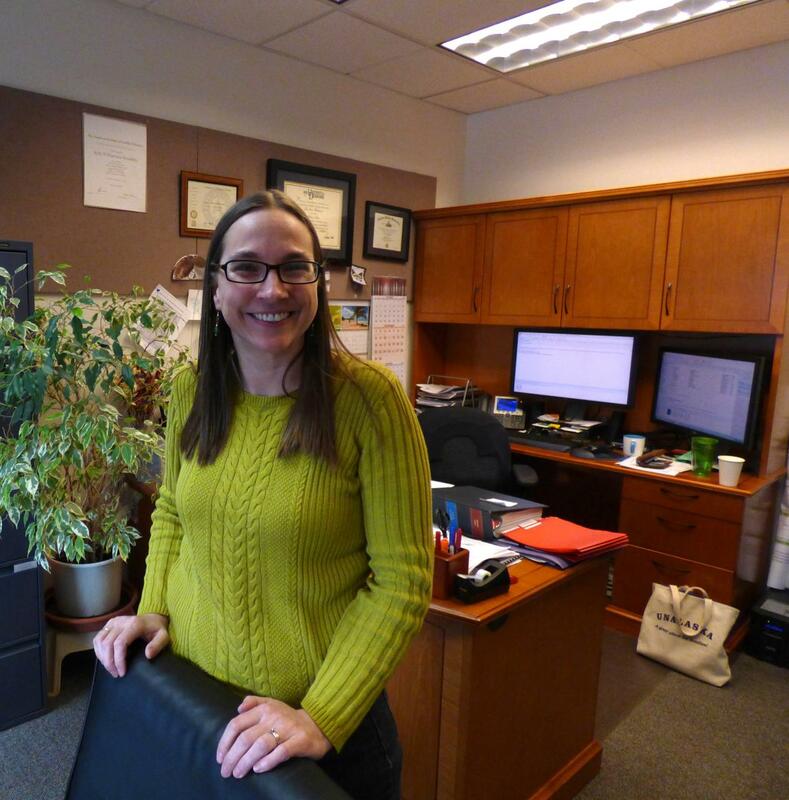 Just last month, she was honored as Planner of the Year by the Alaska chapter of the American Planning Association. As she is currently the acting city manager, Reinders will serve in David Martinson's place at Tuesday's (12/08/15) city council meeting. November was an award-winning month for Unalaska city staff and public officials. Earlier this month, the city's planning director, Erin Reinders, was named 2015 Planner of the Year. The Alaska Chapter of the American Planning Association selected Reinders and her work from among dozens of planners around the state. 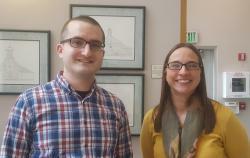 Unalaska's planning administrator, Anthony Grande, also received an award from the APA's Alaska chapter. Grande was selected as this year's Emerging Planner of the Year.